Stratford Homes Tamarack | Excelsior Homes West, Inc.
Are you looking for a two-story loft with three bedrooms? If so, the Stratford Homes Tamarack may be the perfect option for you! The Stratford Homes Tamarack is a three bedroom, two and half bathroom home. 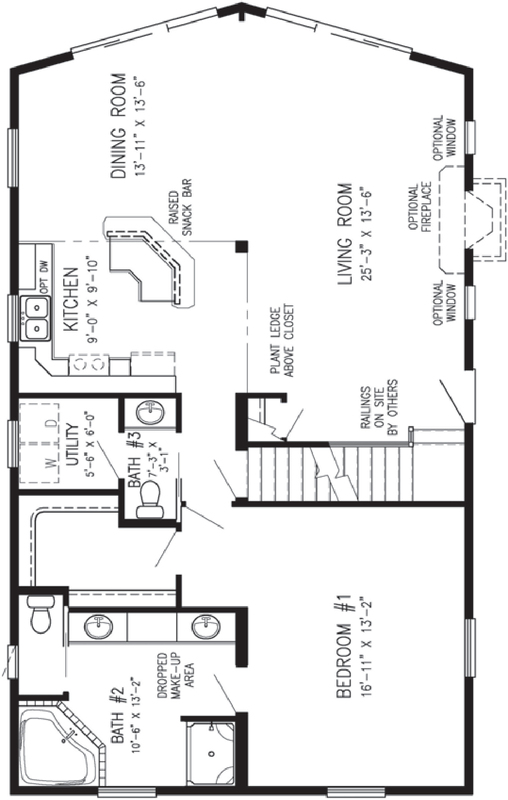 This loft style home has just under 2000 square feet of space. With many features available, you won’t be disappointed with this Stratford Home! On the main level you will find an open concept layout between the living room, dining room, and kitchen. The master suite is the only bedroom located on the first floor. Upstairs you will find an open loft space and the two spare bedrooms with a guest bathroom. If this home sounds like the right option for you, call Excelsior Homes West, Inc. today! We can get you the information and pricing details you need! The Stratford Homes Tamarack can be customized with options and upgrades available. 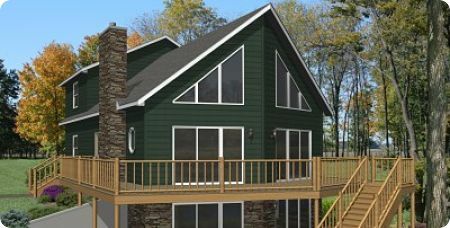 This three bedroom loft is perfect for any Minnesota lake lot. Make it your own by customizing the Stratford Homes Tamarack with the options you love! Add a fireplace in the open living room flanked with optional windows for more natural sunlight. Imagine sitting by a warm fire on a chilly Minnesota night–a perfect way to relax after a long day! This home also has material options and upgrades available. Choose from a number of countertop finishes, tile options, flooring selections, etc. This home can truly become your dream home! Contact us today for more information on this Stratford Home!